For groups up to 50 players. Easily outift your small or medium sized group. Quick to set up and play! Get the masterboard, cage, balls, chips and more! Unbeatable value for both small and medium sized groups of up to 50 players. 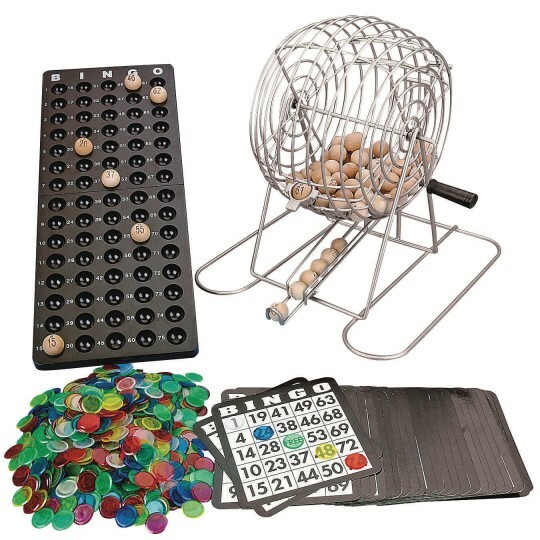 Includes one 8-1/2"-diameter metal cage, one 7" x 18" bingo masterboard, (75) 7/8"-diameter wood bingo balls, fifty 5" bingo cards and 1,000 assorted color bingo chips. Love it! Sturdy and durable product quick on shipping! Have our own bingo parties! So much fun. I am an activity director in a memory care unit. We use this game 3-4 times a week. 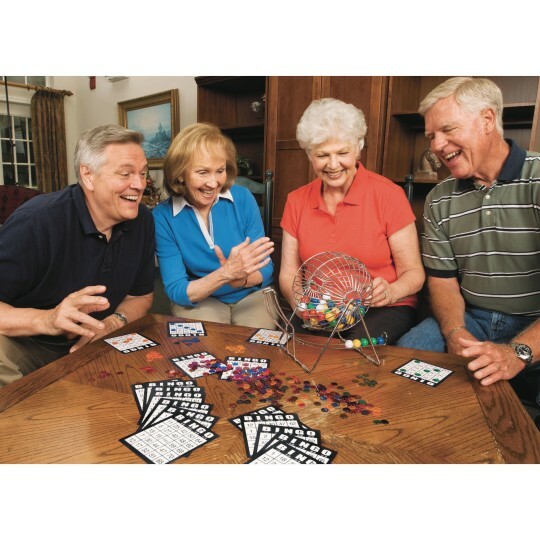 It is sturdy and the numbers are easy to read our residents love to play! I ALREADY HAVE ONE OF THESE AND WE ENJOYED SO MUCH AS A FAMILY THAT I DECIDED GIVEN TO MY DAUGHTER AS A CHRISTMAS GIFT. WE JUST LOVE IT WHEN WE PLAY BINGO TIME FLIES. We use it all the time. Our youths to senior's groups love playing Bingo!